We had a wonderful time with our Colorado friends and Brewer and Shipley, but the road was calling and we knew we had to go. We set off from Colorado Springs and headed up I25 to Fort Collins, then HW14 over to 287 into Wyoming up to Laramie. From Laramie we took the 287 loop up through Medicine Bow. Dinosaur graveyard for sale! "Oh, honey! Can we?" Remember when Butch Cassidy and the Sun Dance Kid blew up that money train? Well, this is the same place as the dinosaur graveyard and curio shop! Popo Agie was our first starry night in the Vistabule. The Sink Creek Campground near Landon, Wyoming provided a small but beautiful site right on a noisy little river! Our new friends Maggie and Susan with their LittleGuy Teardrop! In between Old Faithful eruptions we walked the board walk and saw many wonderful vistas. Yeah, the Lodge is beautiful and all, but does this little beauty have a hitch? All we need is our canoe and fly rod! The roads to the west and north, out of Yellowstone are closed now. So, we must head east and exit the park in a clockwise route in time to meet our friends and fellow Vistabists, Jeff and Corrine, 50 miles north of the park, near Livingston, Montana. Here is Jeff and Corrine in front of the future home of Vistabule West! Actually, their home due to break ground soon. On Jumping Rainbow Way! Such a beautiful place! In partnership with SunFlare Vistabules now have the option of having thin, flexible solar collectors on the roof! We've got them on our trailer and they're working well. Take a look! Let's be part of the energy solution. It's nice to be liberated from the grid! Drove into the mountains to Estes Park to hear a Brewer and Shipley concert at the Historic Park Theater. Had a wonderful lunch in the theater's cafe before the concert, the food was excellent as was the service. 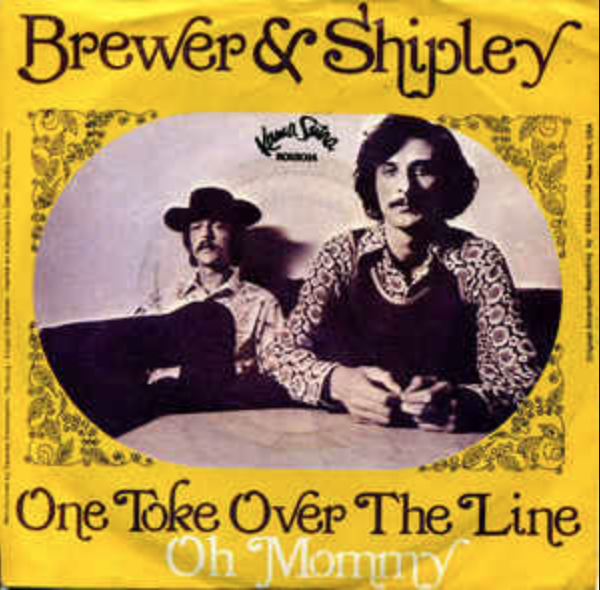 Brewer and Shipley are a wonderful duo we first learned about in our younger days. We've followed them for ever since. We are very happy to celebrate 50 years of their music, and didn't want to miss the chance to see them as they toured Colorado. The first concert was high in the Colorado Mountains of Estes Park. Their songs are impactful and beautiful. They sound as good now as they did when they first started out. Super impressive. We had a wonderful time hearing one of our favorite bands with our friends from Colorado and British Columbia who met us for the shows. Brewer and Shipley at the Swallow Hill Concert Hall in Denver, and then at Stargazers in Colorado Springs. All three shows were fantastic! Tom Shipley taught videography at a college in Missouri; one of his projects was documenting the travels of a solar car from the Southwest to Canada. He was impressed with the solar panels on the top of the Vistabule. Brewer and Shiply in the Vistabule! It was a treat to stay in the same timber lodge cabins as Tom and Mike. Very gracious and talented guys. You would know what we've been up to these last few days had it not been for the specter of our own singularity stalking us. Passwords, log-ins and wifi, OH MY! On the shores of Lake Harriet in south Minneapolis, sits a little concession stand called "The Bread and Pickle". Seemed like a good place to start our trip. We met the kids and had some breakfast. Then, after a few more hours of packing and shopping, we hit the road at 3:30. Not bad for a Sunday! We decided to avoid the big freeway turnpikes and stick to the blue highways as much as possible. Heading west on Highway 212 we crossed the Minnesota prairie. Out past Buffalo Lake, where Bert's Dad grew up, and Hector, where Gretchen's Mom grew up, to the border of South Dakota. The sky and air were hazy and the sun was shining red, because, we think, of the extensive wild fires in British Columbia. We found a little state park called Oakwood. Nestled amoung ancient glacial lakes we had our first night's sleep. Oakwood campground, the lake just a few yards away. Last day of summer, Sunday night before Labor Day, lots of families, kids, bikes and dogs but very quiet nonetheless. In the morning, breakfast with a great cup of coffee! Monday, got into the gorgeous Bad Lands. Drove 12 miles (or so) on a dirt road to get into the rustic Sage Creek Campgroud. Here's Bert on top of a high bluff; you can see for miles in every direction. Herds of buffalo easily seen from here. Sage Creek Campround at the west end of the park. No water, never full, free and beautiful! Two buffalo hang out just outside the camp, and walked through in the early morning. One of our fellow campers, a cattle rangler, saddle trainer and ferrier. . Arrived at Custer State Park in SW South Dakota, found a beautiful campsite at Center Lake Campground. Should've pulled in rather than backed in. Learned to think about what we want the Vistabule window to face. This? Had a great dinner of salmon and veggies with a beautiful campfire by the creek, we're starting to unwind. Saw lots of wildlife as we drove through the park, many very close up -- buffalo, deer, prong horned sheep, prairie dogs! Arrived in LaSalle, Colorado, on Wednesday afternoon, where Bert had his first business, Rural Space Woodworks. We had lots of great times with our friends, Jimmy and Linda, in those days; it has been really fun to see them again and sleep in the Vistabule on their farm. The old house is still standing, but just barely! My first workbench suffers the fate that all horizontal surfaces are heir to! Gretchen and I are about to embark on a long-awaited journey to the Great American West. We’ll be leaving on Sunday, a day after Gretchen’s retirement from the Minnesota Department of Health. 33 years of hard work and making a difference. We will be taking the blue Vistabule “Dark Sky” on a 6-week tour of parts known and unknown. The first leg of our journey will take us through the Bad Lands and Black Hills of South Dakota, which is a tradition when heading west. From there, onto Colorado to visit Friends and attend 3 concerts of Brewer and Shipley (One Toke Over the Line). These guys are known as the quintessential guitar and songwriting duo of the Sixties and Seventies. They’ve had a massive influence on us kids. They helped inform our politics from Nixon to Trump. They witness what is truly great about America and shine a light on those scoundrels who make patriotism their last refuge. We will attend a concert at Estes Park on the 7th. Denver on the 8th and Colorado Springs on the 9th. If you would like to meet up with us at any of these venues go to Brewer and Shipley’s Facebook page and find further details. We’ll be discussing them more later in future posts to this blog. From Colorado, we will be wending our way thru Wyoming, Montana, Idaho and Washington. Across the Scab Lands and Grand Coulee and on to Seattle, where more friends await our arrival. 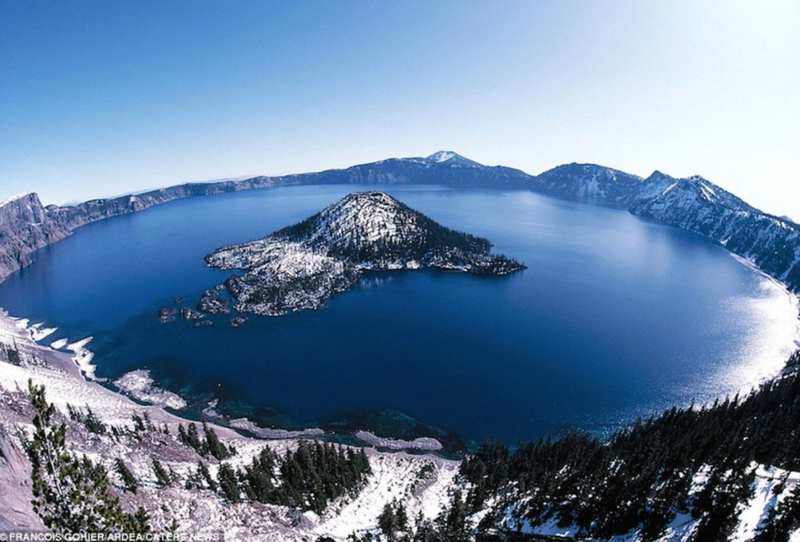 A few days later we will head south to Crater Lake in Oregon. From there on, things become more fluid. A lot of musts, maybes and unknowns. Yosemite, LA, Tesla Auto and Battery Factories (to lobby Elon Musk to put hitches on all his new Model 3s and charging stations in all the National Parks), Apple’s UFO shaped Headquarters, Bonneville Salt flats (to break the teardrop land speed record), Monument Valley, Chaco Canyon (to do some dark sky viewing), Zion, Salt Lake, Lightning Field, Ship Rock, Mesa Verde, Albuquerque, Santa Fe and maybe more or maybe less! Did I say, “six weeks”? Yeah, right! We know that Gretchen will be joining her sisters, the first week of October, near Albuquerque at a small cabin at the Lightning Field Earth Sculpture and then on to Albuquerque to the world’s largest gathering of hot air balloons. I’ll make myself scarce by tripping off to Chaco Canyon to do some night sky viewing and other exotic adventures. Gretchen and I will meet up again in Santa Fe and plan our trip home. I hope people will recognize us when we return. I’m thinking that we will be so buff and shiny that it will hard to gaze upon our bright and glowing countenances! Or, not. But we will, no doubt, be looking forward to commencing with our lives. Gretchen’s acclamation to retirement and my many new projects and challenges. We hope to see you all on the other side!